The Paris Terrorist Attacks on 13 November 2015 in astrogeography. Political and Mundane Astrology, History & Places. Astrogeographic position of the french capital Paris for morphogenetic field level 1 which describes the international, supraregional qualities of the position of the french capital: The center of Paris is located at 27° of air sign Aquarius and 28° of fire sign Sagittarius. The position in Sagittarius lies only 2° from the square position (0° Capricorn) to the triggering transiting factor Mars the planet of warfare, ignition, new starts at 0°Libra. 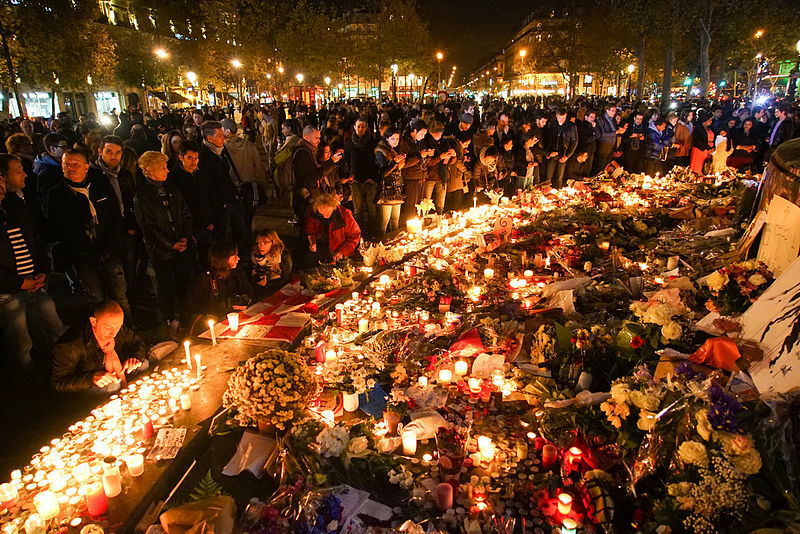 Dozens of mourning people captured during civil service in remembrance of November 2015 Paris attacks victims. Paris, place de la République, November 15, 2015. The Paris Terrorist Attacks on the evening of 13 November 2015 were a series of shootings and bombings that began at 21:16 CE. Explosions ocurred at 3 different places followed by 6 mass shootings. The suicide bombings near the Stade de France in the suburb of Saint-Denis were carried out shortly after the beginning of a friendly football match between Germany and France. The deadliest attack was at the Bataclan theatre where the target was a hard rock concert. Attackers took hostages and engaged in a standoff with police until it was ended at 00:58 CET into the early hours of 14 November 2015 during which at least 87 persons were killed including eight attackers. Alltogether at least 120 people were killed and more than 200 injured. French President François Hollande announced a state of emergency across the whole country in a televised statement at 23:58 CET the first nation-wide state of emergency since the Algerian War. Mars the triggering astrological factor for the Paris Terrorist Attacks on 13 Nov 2015 was conjunct the North Node – planetary indicator for the actual aims of the attacks – at 29°Virgo and conjunct the astrogeographical position of Berlin. It can so be concluded that Berlin was a major target of the Paris terrorist attacks of Nov, 13 2015 too. And together with Paris and Berlin the four founding members at the basis of the European Union with theiir capitals connected through a Grand Cross: Amsterdam 19°Pisces, Rome 29°Gemini, Paris 28°Sagittarius, Berlin 29°Virgo. From the coincidence of the Mars-North Node conjunction being directed at the foundation members of the European Union it can be concluded that the actual target of the US-Saudi-Arabian collaboration behind the ISIL contract killers was the European Union. Mars at 0°33`Libra appears as the aspect that triggered the attacks. Firstly because Mars had been changing signs through his ingress into Libra on 12 November and secondly because of his strong position conjunct the IC as the only planet on one of the 4 main axes. On a psychological level the position of Mars on the IC and anyway in Libra the sign of seeking “balances” stands for “revenge” as the main purpose and triggering emotion of the attack. Mars` position right on the cardinal degree of 0° Libra and conjunct Rahu the North Node of the Moon resembles the image of a declaration of war and also indicates the desire to appear in public through a stage performance. The Paris Terrorist attacks are a direct consequence of the Bush Presidency and the illegal attack on Iraq. 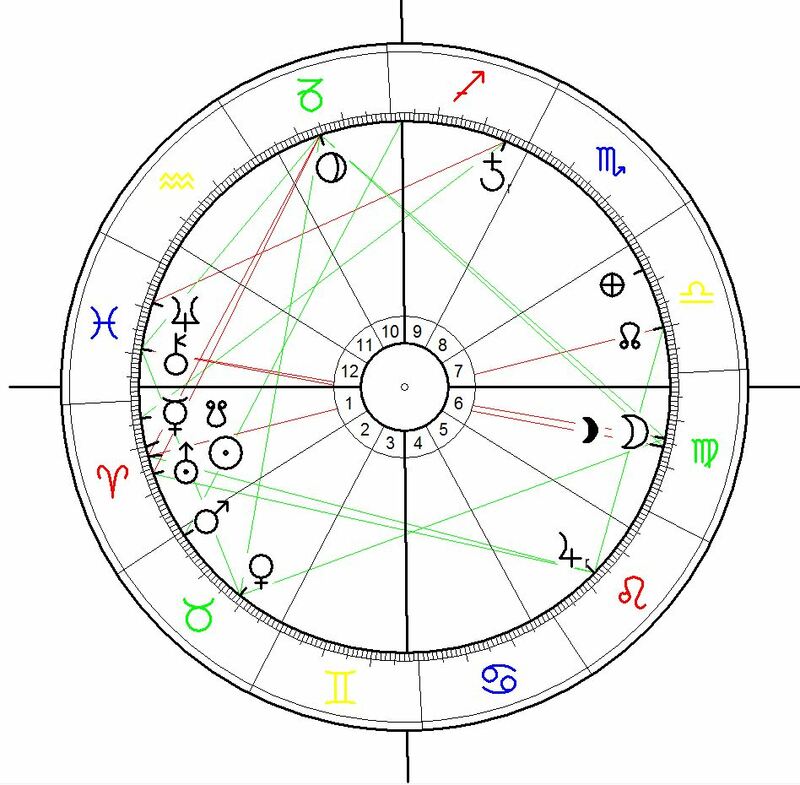 This can be seen from the Moon´s position on 13 November 2015 attacks right on the position of the Moon-Pluto conjunction in Sagittarius the sign of strategical aims in the moment of the George W. inaugurational chart and Mars` opposition (answering effect) to the Sun´s position of the beginning of the Iraq war. The Moon´s position of the Paris terrorist attacks at 15° Sagittarius was exactly conjunct the position of Pluto at 15° Sagittarius (Moon-Pluto conjunction !!) in the inauguration chart for the 1st presidency of George W. Bush on 20 January 2001 reflecting the fact that the Paris terrorist attacks are a direct result of the “war against terrorism” organized right from the beginning of the Bush presidency with the situation in Syria and the foundation of the “Islamic State Caliphate” being a direct effect of the illegal US attack on Irak in 2003. The Moon of the Paris assaults as the indicator for the motivation of things done in resonance with the Pluto indicator for the ideology and beliefs of the Bush administration explains where the motivation of the terrorist assault comes from. 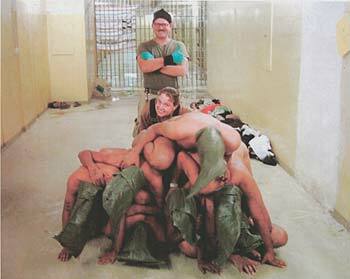 The photos from the Abu Ghraib prison document the mentality introduced by the Bush administration through the Moon-Pluto conjunction in Sagittarius the sign of playgrounds. 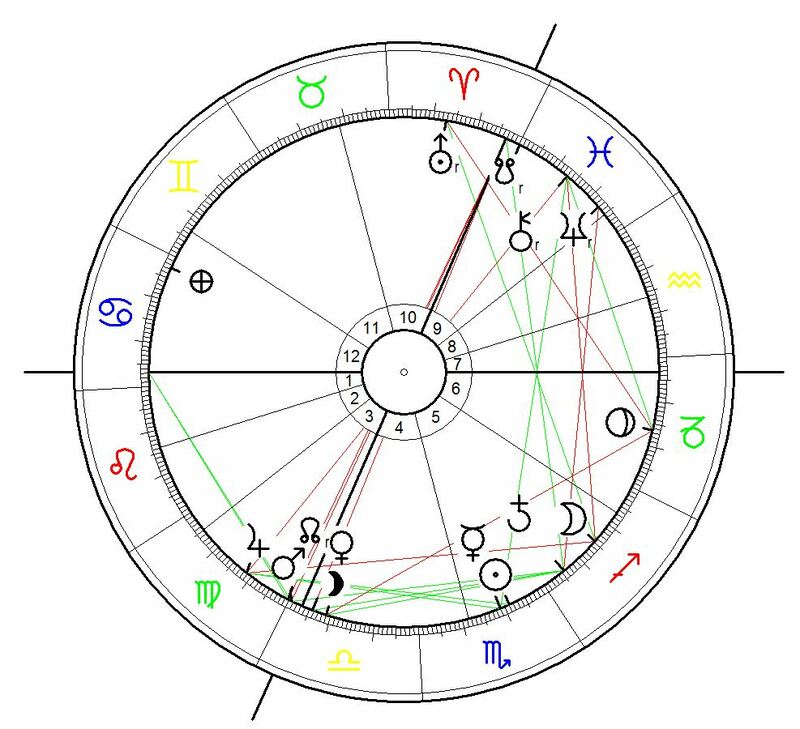 The position of Mars on the day of the Paris terrorist attacks at 0° Libra fell in exact opposition (answering opposition) to the position of the Sun at 29° Pisces on the day of the beginning of the Iraq War on 20 March 2003 as well as the day of the Solar eclipse on 20 March 2015. This resonance is to be evaluated as of highest intensity. The position of Mars at 0° Libra during the Paris Terrorist Attacks has an intense resonance through exact opposition with the Equinoctial Solar Eclipse on 20 March 2015 at 29°27`Pisces. 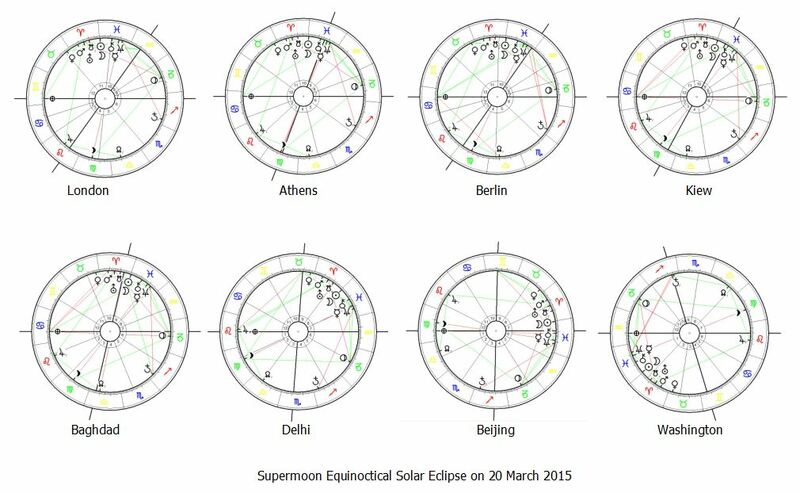 Because of the Grand Astrogeographical Cross between the capitals of the founding members of the EU: Paris (28° SAG), Amsterdam (29° PIS), Rome (29° GEM & Berlin (29° VIR) the Equinoctial Solar Eclipse appears to have a particularly strong impact on Western Europe and the EU. “The conjunction of the eclipse with the astrogeographical position of Brussels so indicates that the karmic issues brought up by the eclipse are working in favour of the European Union while they are challenging the german position. But this is only one aspect of the whole “interactive roulette” of this astrological transit in regard to the European Union. In fact the astrogeographic position of the capitals of the founding members (Belgium, Germany, France, Italy, Luxemburg, Netherlands) of the European Union are linked together by a Grand Cross directly stimulated by the eclipse: Rome (29°Gemini + 15°Gemini), Paris (27°Sagittarius + 7°Aquarius), Berlin (29° Virgo + 10° Cancer) and Brussels (21°Pisces + 10°Scorpio with Amsterdam at 29°Pisces + 4°Libra).” Compare also my post about the astrogeographic position of the EU Parliament. 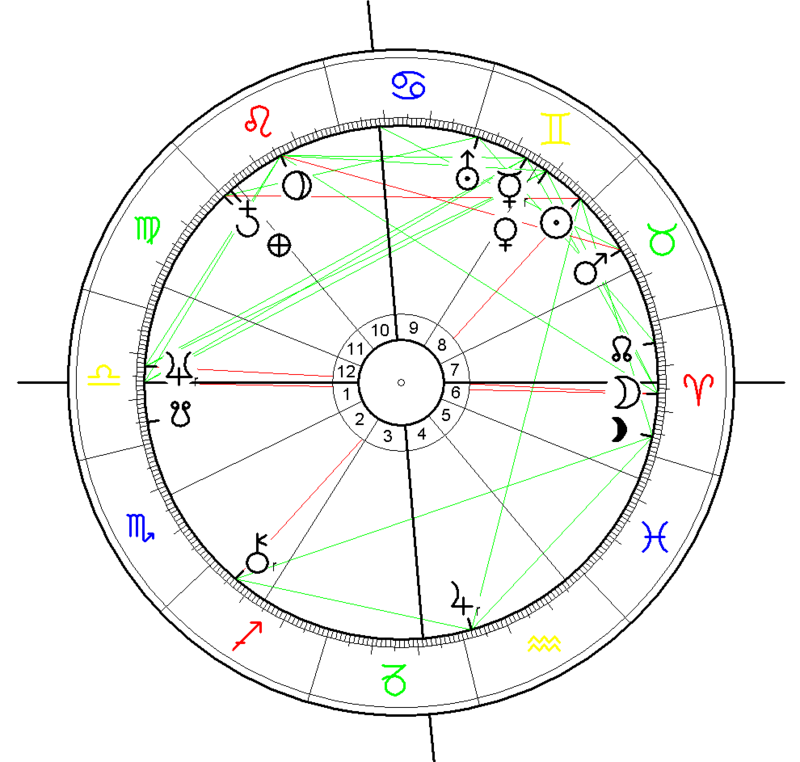 Today the most commonly used astrological birth chart for France is the Foundation Chart for 5th French Republic. The comparison of the chart of the terrorist attacks with the Foundation Chart of the 5th French Republic reveals that the terrorist attacks were carried out with exactly the same ascendant and house positions as in the foundation chart. Mars position at 0° Libra from the terorist attacks was conjunct the position of Venus at 1° Libra in the state chart indicating that the attacks were directed at the superfine, nice, comfortable, profitable and beautiful position of Venus conjunct the IC. Astrological Foundation Chart for the 5th Republic of France calculated for 5 October 1958, 0:00 the moment of validity of the foundation. As can be seen the Moon at 28° Gemini the sign of US culture and in house 12 was in exact opposition to the astrogeographical coordinate of Paris at 28° Sagittarius. This aspect is a clear hint at the intense dependence of the country from the USA. 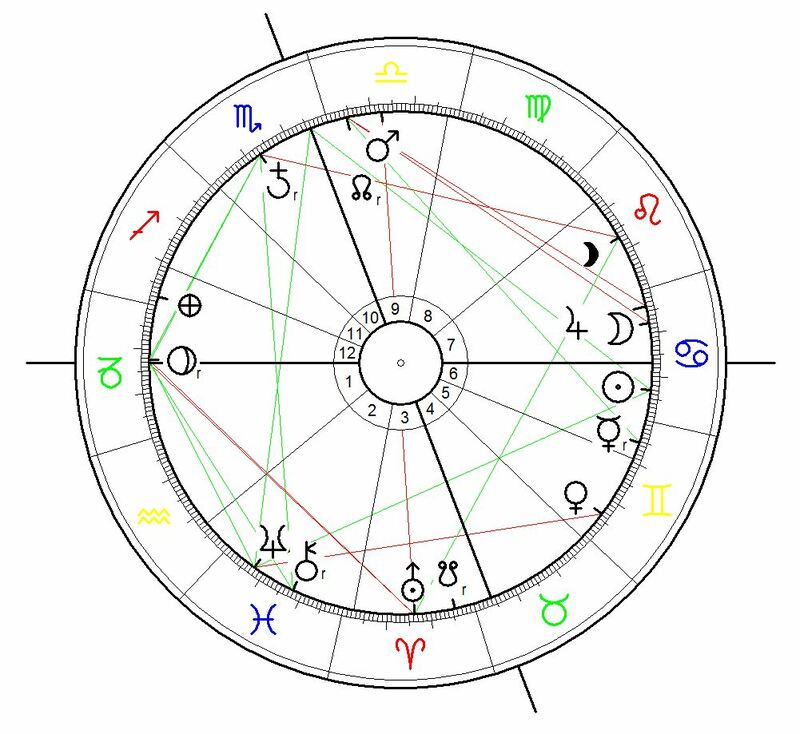 The position of Mars at 2° Gemini and in house 11 of the French Birth Chart has an intense resonance through a trine with Mars position as a triggering factor in the chart of the Paris terrorist attacks where its position fell at 0° Libra. 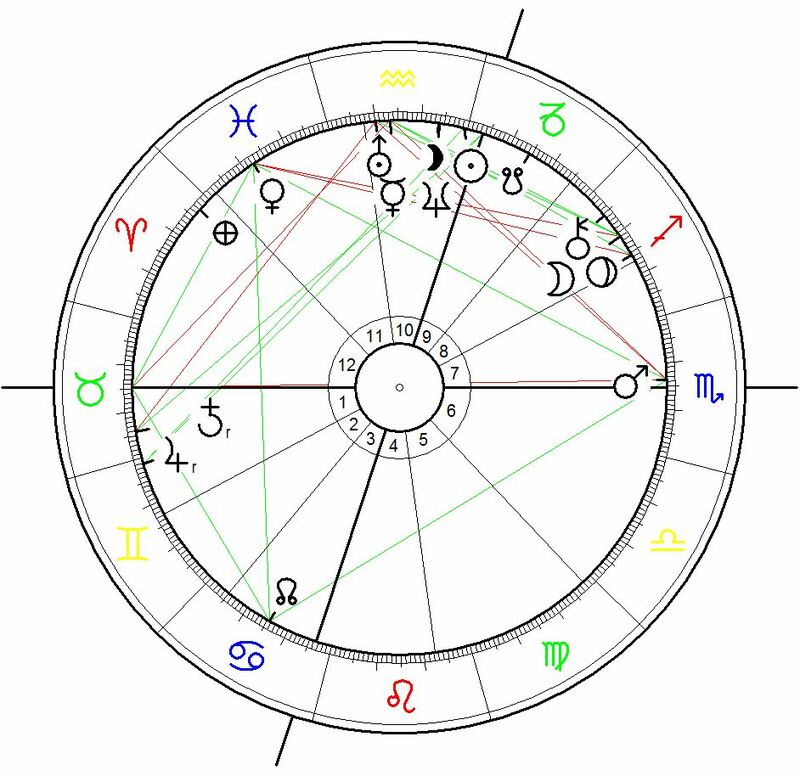 And Mars position at 2° Gemini in Haus 11 of the Foundation chart for the 5th republic fell right on the position of the Sun in the foundation chart of modern Germany on 23 May 1949 indicating the intense friendship between France and Germany since the 1950ies. This is of high importance here also because the Paris terrorist attacks were carried out during a friendly football match between the two countries` teams and because the german national team had been subject to a bomb threat in the morning of the same day. The german national team spent the night in the Stade de France because further attacks on the team were feared. The players of the French team in order to show their solidarity declared to remain in the stadium as long as the german team was being kept there. Apart from that it can be suspected that the organisation behind the Paris Terrorist Attacks might be operating from a place in the west of Germany particularly near Bonn and Cologne. Compare my astro-geomantical map of Germany which shows the position of Cologne at 2° Gemini for 622,08 km zones. Astrological Chart for the Foundation of the Islamic State Caliphate on 28 June 2014, 17:05 UT calculated for Ar-Raqqah, Syria. 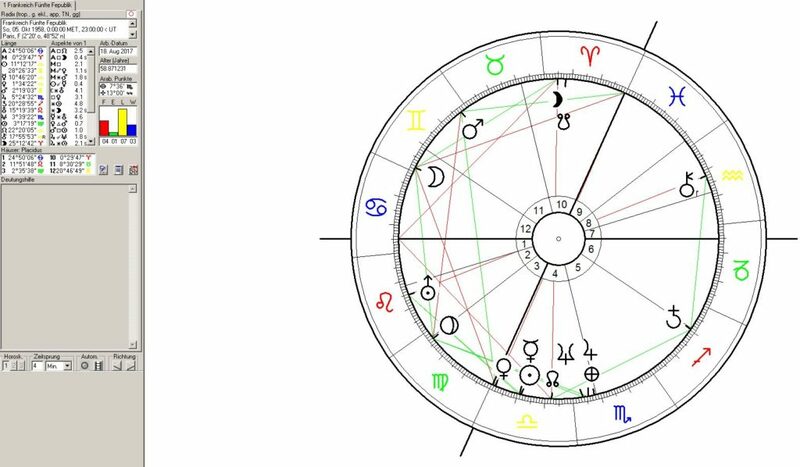 In the Astrological Chart for the Foundation of the Pseudo or rather Anti Islamic State Caliphate on 28 June 2014 calculated for , 17:05 UT at Ar-Raqqah, Syria Venus at 5° Gemini was in exact trine to the Venus position of the Paris terrorist attacks. 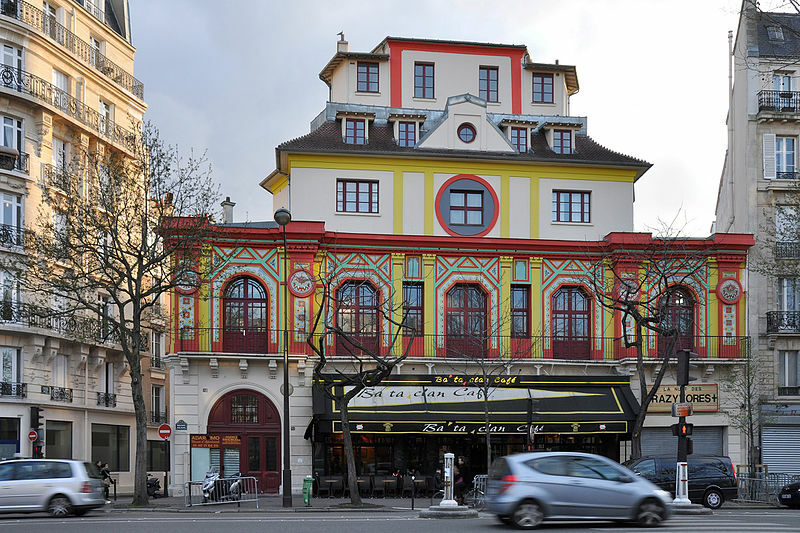 The Bataclan Thatre was designed by the architect Charles Duval and built in 1865. Its name refers to Ba-Ta-Clan, an operetta by Jaques Offenbach. The name is also a pun on the expression le tout bataclan (the whole caboodle). Astrogeographic position of Bataclan theatre for field level 4 which describes the atmosphere of the site itself: the Bataclan Theatre is located in the highly romantic constellation of service orientated air sign Libra (3rd decade) sign of openness, relationship. beauty, dancing, stage performances with relaxed, spiritual water sign Pisces (last degrees) the sign of the spiritual plane, dreaming, drinking, letting go, music and temples. The constellation describes the place as quite ideal for a music hall and night club. The attack on the Bataclan Theatre was started at 21:47 during a concert of the Californian Death Metal Band Eagles of Death Metal just in the moment when the ascendant was shifting signs between Cancer and Leo. The attack during a concert of a band of that name cannot seriously be seen as a symbolic attack on negativity although the band name suggests intense negativity. This superficial level of iconic associations comes along rather as a pun and word play and as such a straight mocking of the “enemy” and even an occupation of the role of the stronger or domonat “eagle” of death metal (bullets), The same accounts for the strategy not to choose the 11th of November (compare 9/11in New York, 3/11 in Madrid) but a Friday 13th. Both symbolisms relate to the lowest and most primitive standard of mystification of symbolic references. 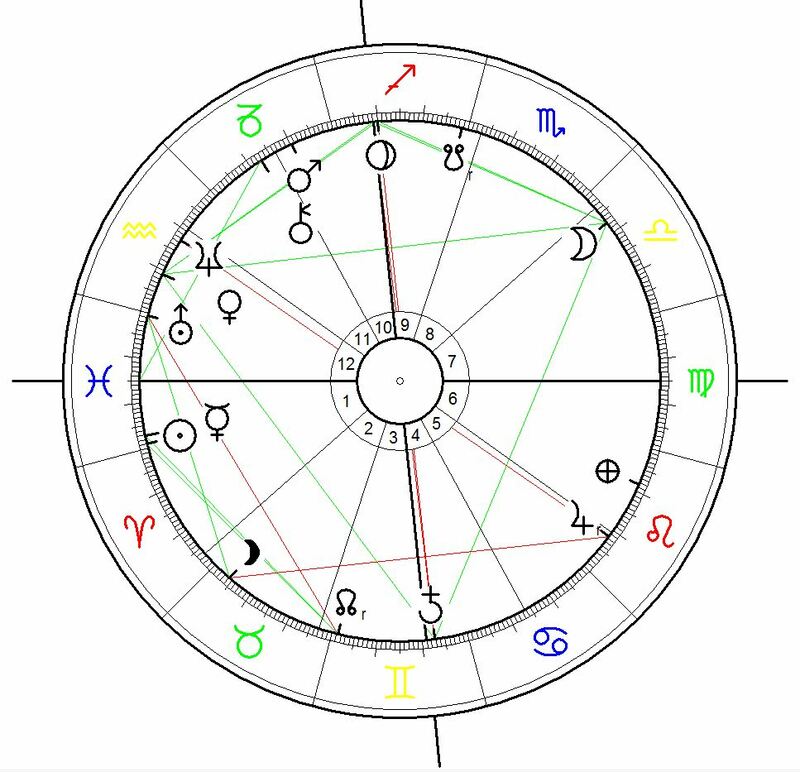 Astrological Chart for the Start of the Attack on Bataclan Theatre calculated for 13 November 2015, 21:32 CET. The beginning of the killings at 21:16 (or possibly 12 min. earlier) was carried out with Mars conjunct the IC. The attack on Bataclan Theatre was carried out about 15-20 minutes later whith Venus (5°) conjunct Lilith (9°) in Libra occupying the position just next to the Immum Coeli. Astrogeographic position for field level 1 which describe the supraregiona international meaning and dimension of the attack as a part of the worldwide war of fascist islamist groups: Garissa University is located at 11° Aries and 25°Taurus. The exact astrogeographical position of the area of the Garissa University College at 10° Aries was occupied by the south node of the Moon (Ketu) falling exactly on the half sum between Mercury at 3°50` and Uranus at 16°10` Aries and conjunct the Sun at 12° Aries and conjunct the Mirror point (11°13` Aries) of Chiron`s position at 18°47`Pisces. Even the Moon`s position at 15°52` Virgo is directly interrelated with the constellations in Aries through its mirror point opposition to 14°08 Aries. The conjunction of the moon with Lilith in house 6 is an expression of daily routine and an issue of long term calculations and planning indicating that the massacre is part of a strategical warfare. Both Mars and even more so Venus in Taurus in house 2 are clear indications that the attackers were being paid large amounts of money. 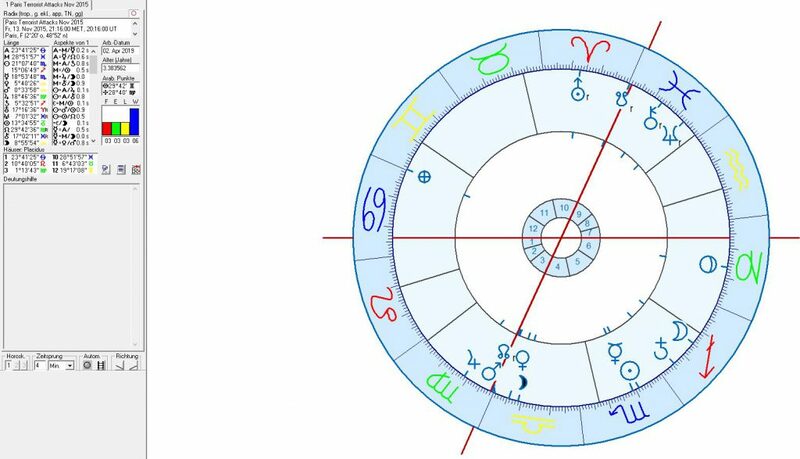 Venus position at 18°Taurus is the closest planetary aspect to the second astrogeographic coordinate of Garissa University College at 25° Taurus. Apart from the position of the Moon Venus`s position could be used as a second indicator for conclusions about the strategical basis from where the attack was carried out. The intense resonance of the position of the South Node with the atrogeographic position of the site of the attack relates the motives of the attackers to restoring things from the past and fighting the future. As the ruler of the constellation in Aries Mars plays a dominant role in the incident anyway. It´s position in the first degree of Taurus and at the beginning of house 2 indicates conquering and possessing territory as its main strategical purpose.